Lately Sundays mean pancakes for dinner in our home. I'm not really sure how this came to be, but pancakes are easy and make everyone happy; so I'm sticking with it. 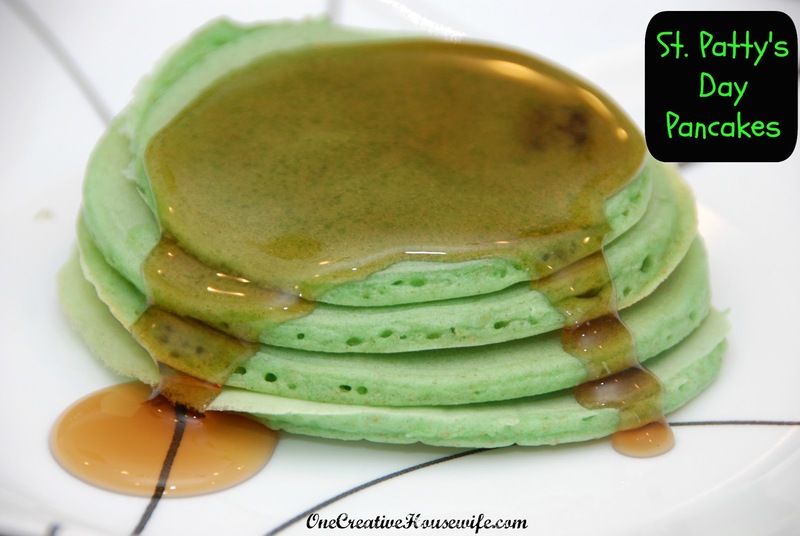 Since St. Patrick's Day fell on a Sunday this year green pancakes were a must! All you need to do is add some green food coloring to you favorite pancake recipe, and you are good to go! 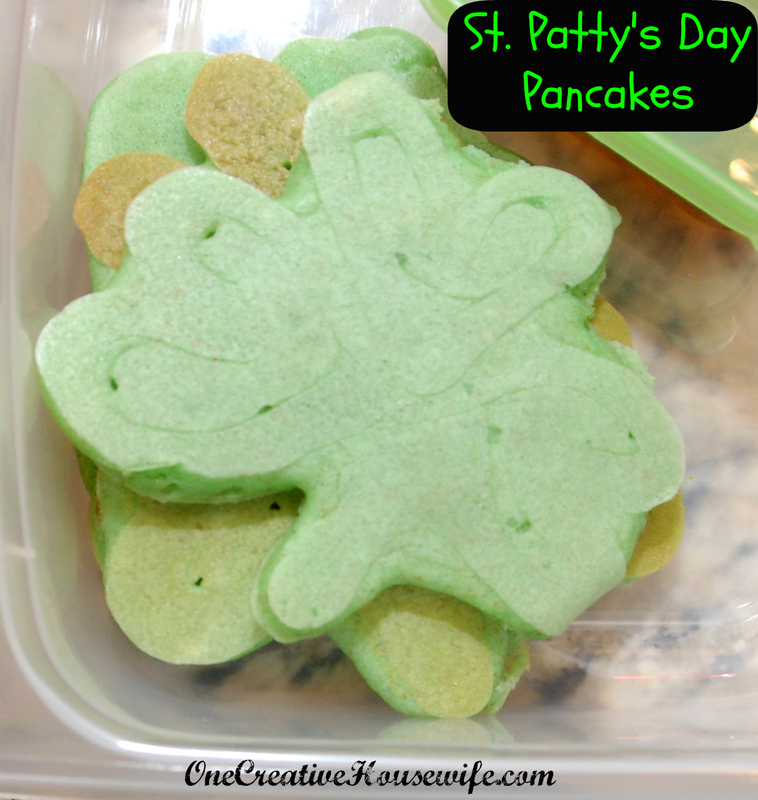 You can even fill a squeeze bottle with the pancake mixture, and make shamrocks. First using the squeeze bottle draw your outline of the shape you want. Then fill the center. *Affiliate links are in this post. I'll Be Linking Up At Some Of These These Parties!